I’m thinking is time for a different kind of challenge ….I have enough dress patterns for a long time so it might be the right time to try trousers…I’m on the lookout for the perfect pattern…..
Hope you are enjoying your weekend…. same pattern as this one and this other one…money well spent…you might not think it by looking at her in the pic but little one is very happy with her new dress…she’s just not a morning person…. 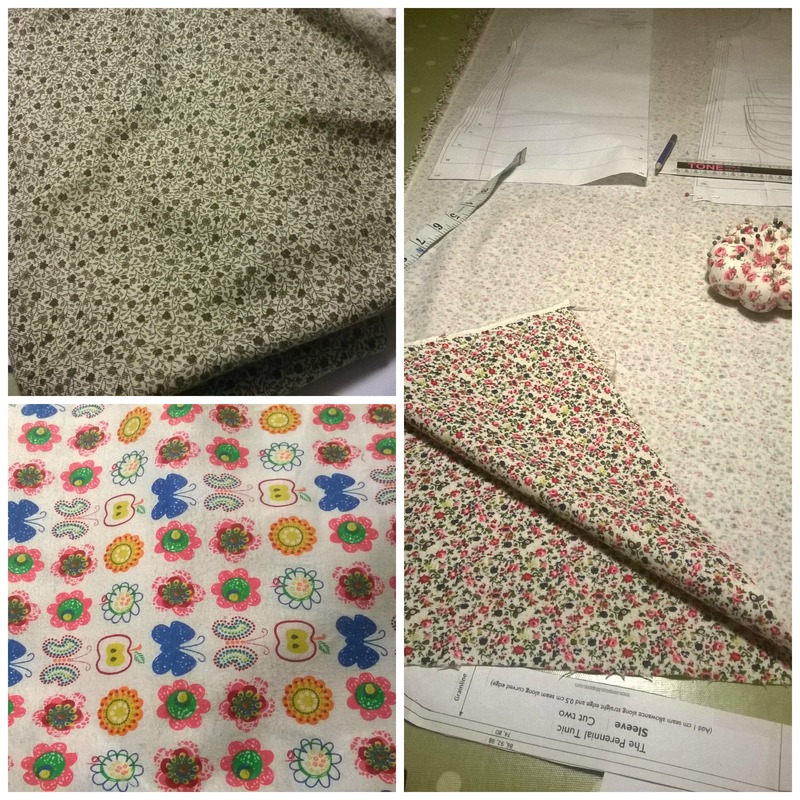 I’ve already started on another dress, a new pattern altogether…watch this space…. 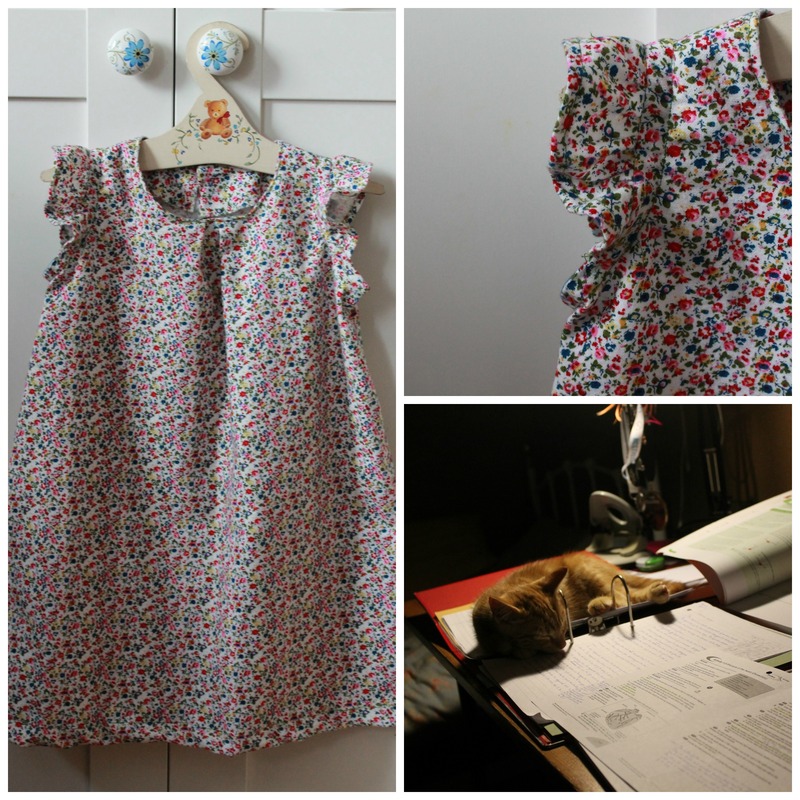 Author princessinesPosted on May 24, 2016 Tags sewing, sewing dress5 Comments on A new dress…. not much happening lately on that front but you know how it goes…..not enough hours in the day, so many other fun things to do…. I started this dress back in November ….life happens…..it’s finished now!!!! what you think? same pattern as before but a dress this time instead of a blouse …..great pattern…. less than two hours from beginning to end…great free pattern and tutorial.…don’t you just love the www? I do!!!! This is definitely one of those patterns that you can use all year round…I’m thinking lighter fabrics for Summer……oh the possibilities…..
really really really enjoyed this one even though I struggled with the invisible zipper and by struggle I mean four hours of battling with it….thanks god for youtube tutorials…..but you know what? I now feel confident enough to tackle anything…well not anything…anything with an invisible zipper I mean…. Adding the piping was lots of fun too and I simply love the pleats……I must confess though that I went for a ready made one…some short cuts are well worth it specially when the ready made one is a perfect match and does not cost the earth…..oh and I hand stitched the bottom hem and now wish I had done the same with the sleeves…..never mind….she doesn’t mind…. that she loves them would be the understatement of the year…..bless her she hasn’t even noticed that I cut them out upside down…. I’m not going to lie and tell you that they were easy peasy…in fact the most challenging project so far….mainly because I did not have a very good pattern with detailed instructions so I had to improvise quite a lot…. here is the free pattern……it was meant to have a proper collar but, as I said, I could not follow instructions…….tried a couple of times and in the end, I opted for the always reliable bias tape round the neck-line option…. All in all I’m quite please with it…Alhamdulilah…. the sewing bug took hold of me yesterday….I drove myself to the best spot in London for fabric shopping…all 15 shops on the same road…Goldhawk Road….bought three lovely fabrics…two thick warm Autumny cottons for little dresses and flannel for little pijamas….I only do little…..she is easy to please…. Author princessinesPosted on October 18, 2015 Tags sewing1 Comment on Sewing matters….